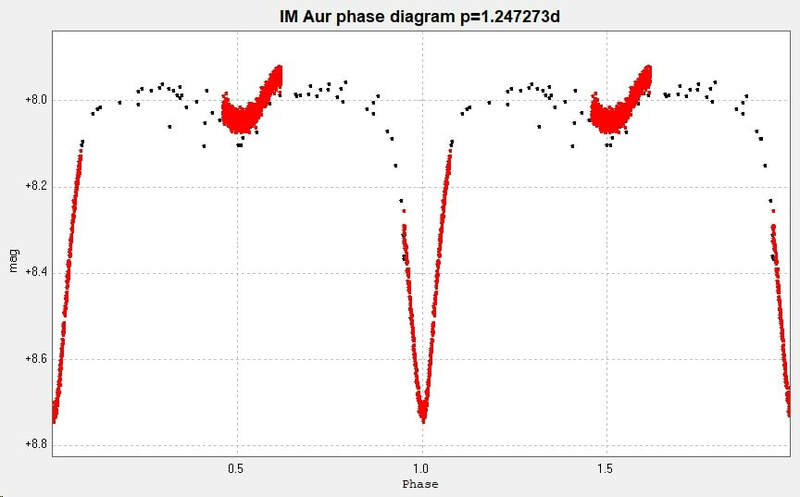 ​Light curves and phase diagrams of the EA type eclipsing binary IM Aurigae / IM Aur. All of these observations were made without filters and have not been transformed. Primary minimum observed with the 2" Titan from Somerby Observatory on 2016 November 1. 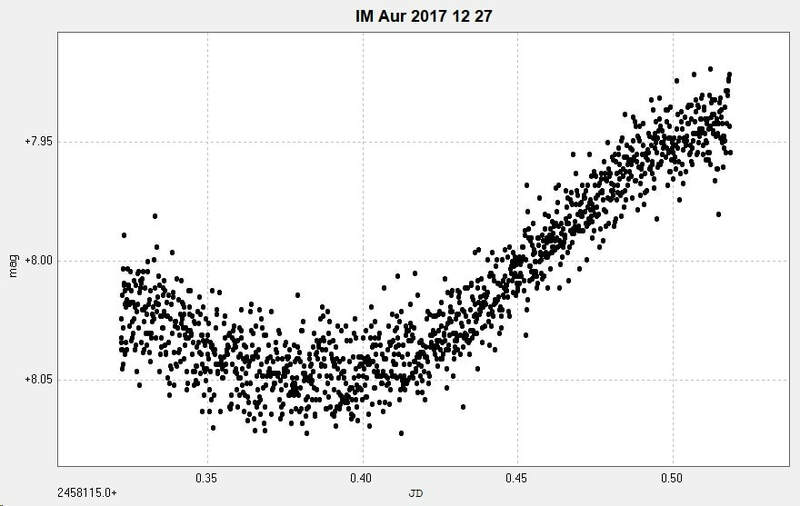 The secondary minimum of IM Aur observed from Somerby Observatory with the 2" Titan on 27 December 2017. The 1856 images used were unfiltered. 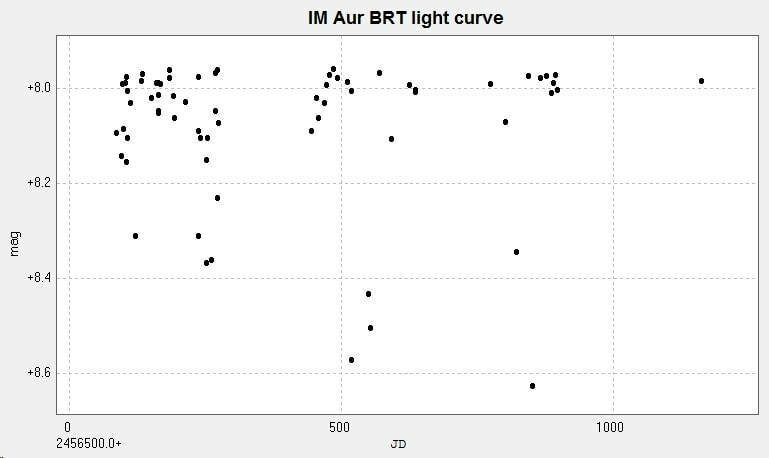 Light curve and phase diagram of IM Aur obtained from 68 images taken with the Bradford Robotic Telescope Cluster Camera (BRT) between 2013 October 20 and 2016 October 1. 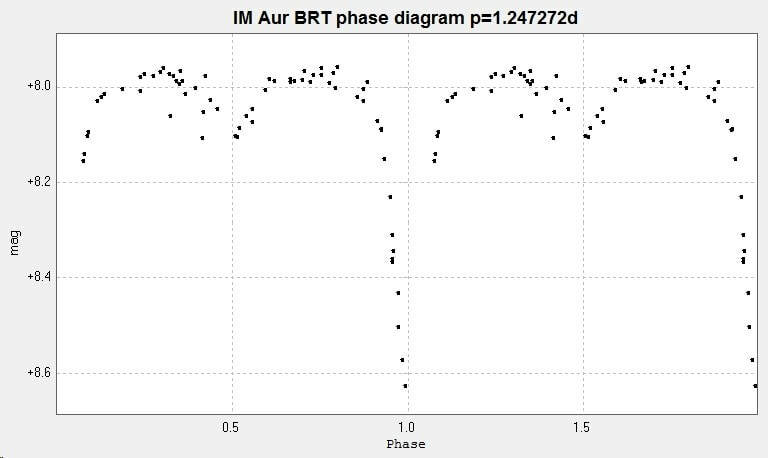 The lack of data for the rise out of the primary minimum is (I presume) an artefact of the BRT scheduler 'phasing' or 'beating' with the almost 1.25d period of the star. The above two sets of data were combined to generate the following light curve and phase diagram. 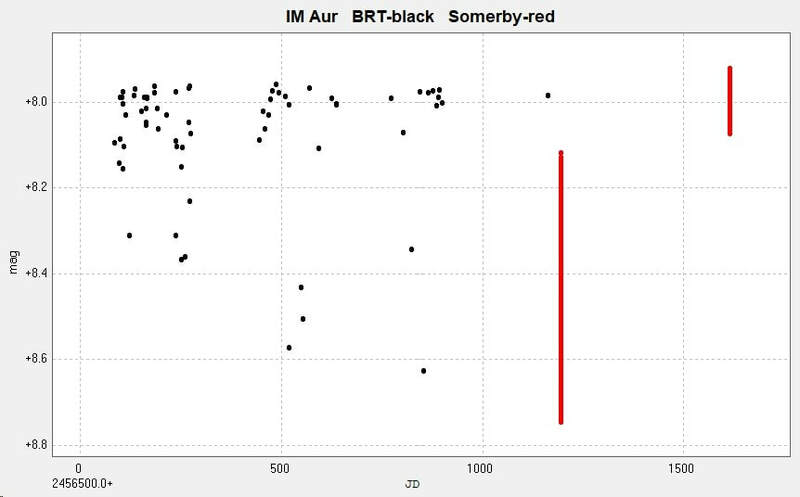 The BRT results are in black, the Somerby results are in red. 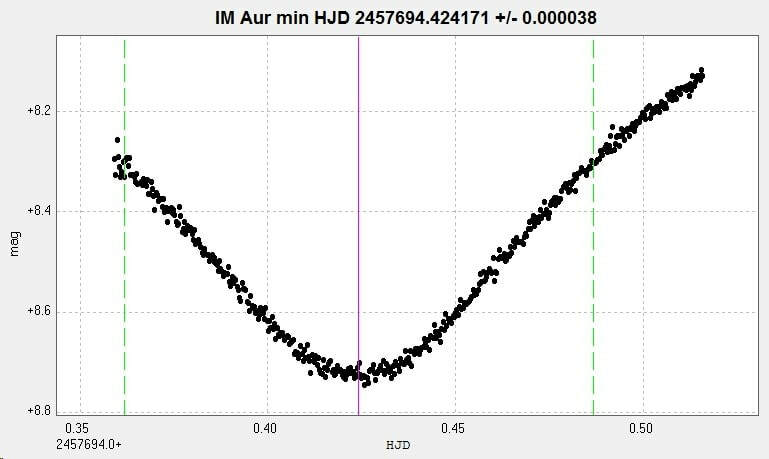 The catalogued period for this system is given as ​1.2472863d (GCVS), ​1.247296d (AAVSO VSX) and 1.2472860d (Kreiner). (Accessed 2017 April 23).